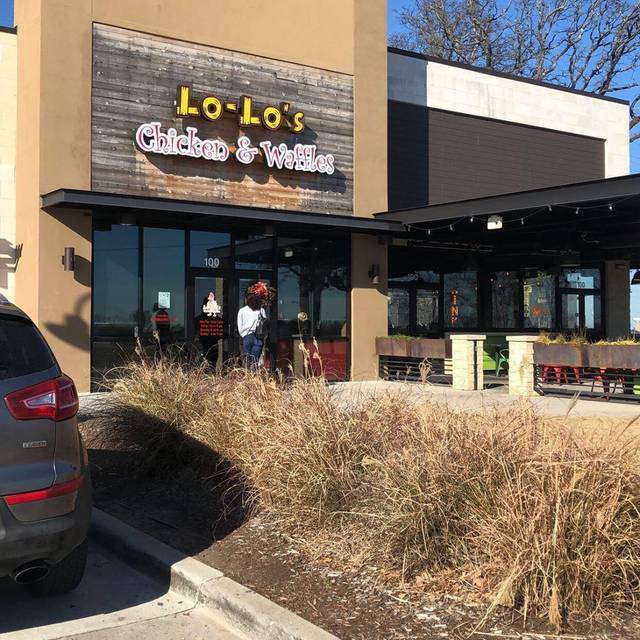 As far as we here at Lo-Lo’s are concerned, it doesn’t matter because one just ain’t the same without the other. 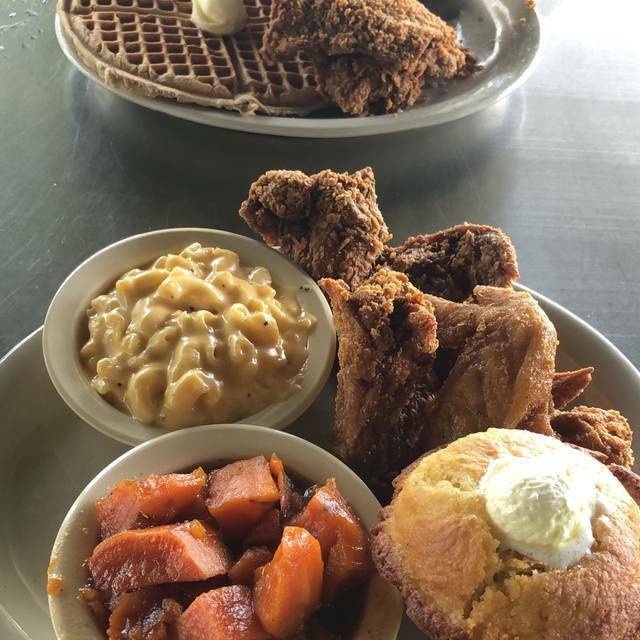 Our obsession with creating the juiciest, most flavorful fried chicken and the fluffiest, most melt-in- your-mouth waffles has, in turn, created something of an underground soul food revolution – one that’s slowly spreading downright deliciousness across the country. Waited and hour to get our food, but my kid was still happy he got to go there for his bday. Hopefully kitchen will have it together if we go back. The chicken was old, it was not cooked fresh! I drove a long way's in traffic getting there and had to get that kind of experience with the food! Everything was amazing from the food to our experience. Our server was attentive, quick, and made our visit that much better! This place is worth the drive! The food was excellent. We got seated quickly. It took longer than expected for the waitress to come to the table for our initial drink order but it was good after that. We experienced horribly slow service. Our waitress never came by to check on us and we sat without food for almost an hour. All the tables around us who were seated after had received food and were finishing. Finally our group asked to speak with a manager (flagged down another waiter to ask for the manager). No one came, finally food came after. Half the orders were incomplete, chicken tenders basket was cold, etc. 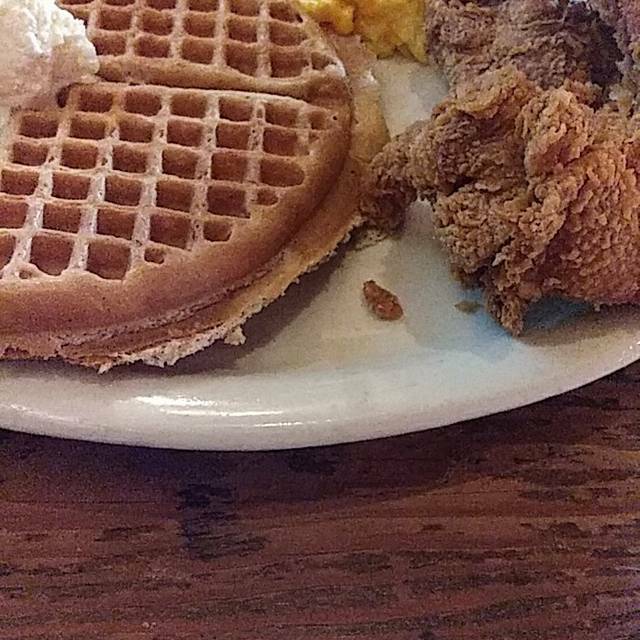 my rotisserie chicken was hot thankfully, and the fried chicken and waffles were tasty. We tried asking repeatedly for more silverware, dressing, etc and didn’t get it. Our waitress never came back except to drop off the checks with automatic group gratuity. I have no problem paying automatic gratuity if I’ve gotten good service, I usually tip better than 18% in most cases. We spoke with the manager finally about the issues and he offered no service recovery other than taking the automatic gratuity off. He blamed our group for ordering too many chicken breasts?! Then the waitress dropped off the fixed checks and was making sarcastic/rude comments to our group. We arranged to meet old friends from out of town there for lunch. The service was excellent, the food was great - we had breakfast for lunch, and it exceeded our expectations. The best part was they did not in any way try to rush us, but continued to bring coffee and tea as we caught up on the last few years since we were together! Will definitely go back. The food is delicious and ambience is great. Good music and very friendly staff. Awesome service even on a busy Friday night. Still great fried chicken! Great place...Our Monday was met with decreased staff, but Ebony was wonderful! It was great! 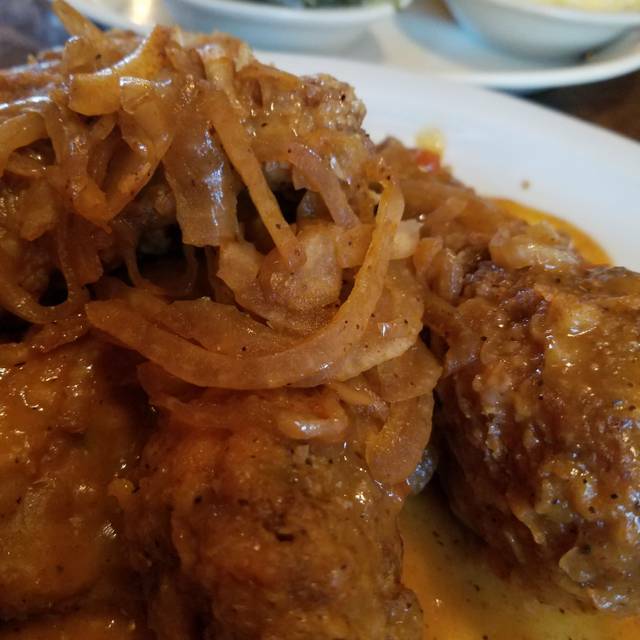 I hate bone-in chicken and was surprised by it being in my chicken breast, which is why I docked a point, but the food was delicious. I will definitely eat there again and be more careful about what I order! Our waiter/bartender/runner was fantastic. The problem was he had about half the restaurant to serve by himself. They were extremely understaffed! He did the best he could but it took forever to get food and drinks. They forgot one person's order so ended up taking it to-go when we left. We will be back because the food was fantastic and hoping they have more staff next time! The restaurant was not full but the service was very slow. I actually had to go ask the Hostess if anyone was assigned to my table because we had been seated for a while (5-10 minutes) and had not been greeted by a server. There were 2 servers working 3 tables that surrounded us but neither of them acknowledged our table. After speaking with the Hostess one of the 2 servers came over and did apologize and took care of us. I over heard another table that was behind us complain about their service too. Excellent food, drinks, and service!!! The shrimp and grits were amazing. 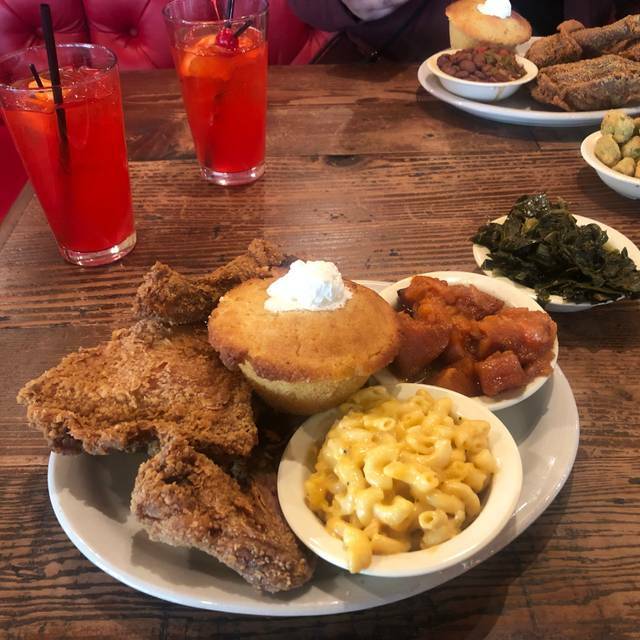 We also ordered greens and mac and cheese, they did not disappoint! I had reservations for 11:45 and was not seated until almost 12:30. I specified that I was unable to sit at a tall table due to being disabled. I brought to the hostess attention that there was a box to select your preference and she said that she wasn't aware of that being on the website. The service was horrible. I have gone there on several occasions and they were very crowded and was treated much better. Morgan was our server and it was like she forgot all about us. I had family visiting from out of town and bragged about this establishment to be let down. I had to ask for the manager twice before I was able to speak with him. 6 other couples came in after us and were served before we were as well as left before we did. After speaking with the manager he did comp the entire meal. We weren't wanting a free meal, just better service. Lauren has waited on us before and she was better trained on how to handle a large party as well how to wait on customers. Absolutely amazing! From start to finish! Awesome and good. An unusually relaxing dine due to the wonderfully organic and subdued decor. Such an awesome place to go to. Great food for a good price. Our table was ready when we got there too. Took my family out for a Friday evening dinner at LoLo’s. We were seated immediately and our waitress was great. Food was hot when it came out and it was delicious! The wings are great get them well done! I wouldn’t recommend the drinks. The cocktails ordered were very weak. Food and service was excellent! We will be back! Thanks! Bad service! Waited a long time to even be acknowledged. Restaurant was half empty in the morning. Condiments were filthy and needed to be wiped down. Was so excited for the waffles but they were honestly just tasteless. Chicken was ok. Wanted to like this place so much— but would not return. I love the food! 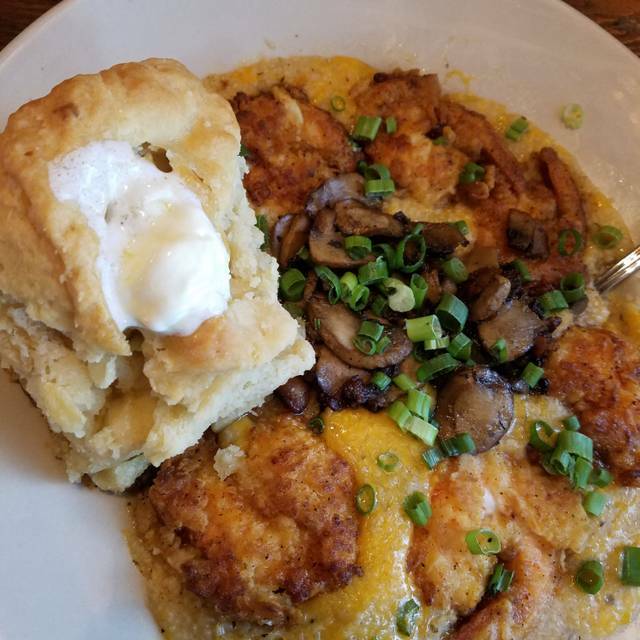 The chicken and waffles and shrimp and grits is the best! It was was my son's 35 birthday and I surprised him to breakfast. He'd never been heard of the place and just moved back to this area .He absolutely LOVED IT! We were the first people there, great music playing ,food came out quickly and was very good. Now I need to take my husband for our anniversary in October. my chicken was overcooked/dry; you could tell it had been sitting out for a while. our food order came out only after 5 minutes of ordering, which was definately not a good sign. The food was great and hot. I had some Greens with my order. The Greens could have been cooked a little longer and seasoned better other than that every thing was great!! I will visit again whenever I'm in Texas!! Food was really good! I loved every second of it, but the service was poor! The waiter we had never checked on us and forgot everything we asked for. Actually forgot to come back and take our order. We had to call over a another waiter. Great food and excellent customer service. Hubby and I had a nice date night. We really enjoyed our drinks too! Next time we will bring the family. 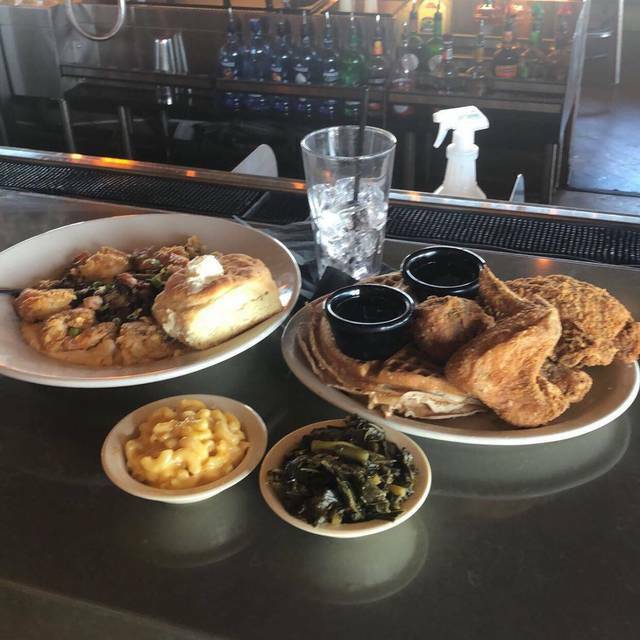 I went for my birthday, and we had a great time food was good the waiter and waitress was very polite I would recommend this place to all my family and friends. Started off a little rocky as they were not prepared for our reservation even though I had asked for a regular table since we needed a high chair- they kept offering us a high-top even though the restaurant was basically empty. Then when we were sat the hostess STILL forgot the high chair and we had to find one on our own. Thankfully our waitress and the food more than made up for that! Everything was wonderful and we can’t wait to come back for lunch/dinner next time and try the rest of the menu. So glad we have a new spot to go to for family gatherings!